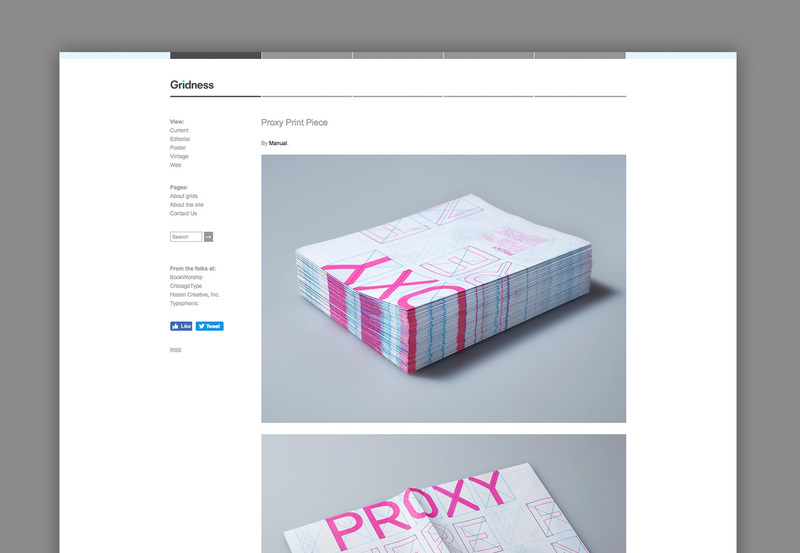 A grid is a tool for designers to structure a page. It gained prominence in the 60s and its intelligent use has been an indicator of good design ever since. For years Hazen maintained a popular blog celebrating the past and present use of the grid in design. 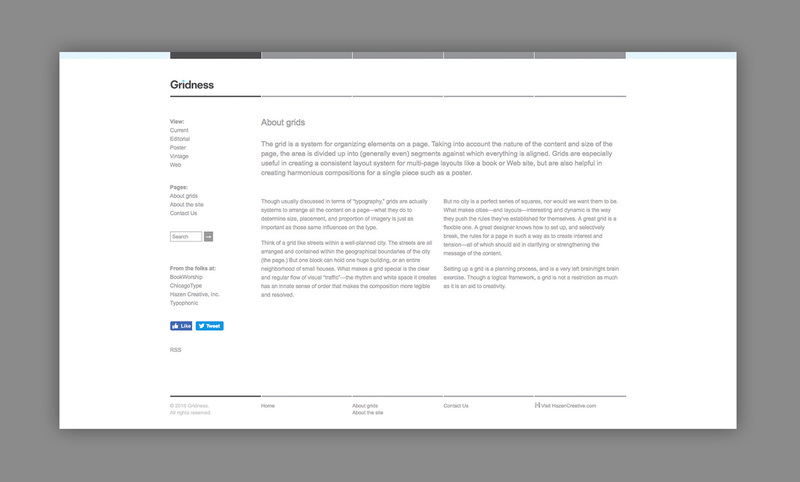 Visit Gridness.